One of the questions we've seen asked on forums regarding the Samsung Galaxy S2 is "How do I add music to my videos?" This is a question that is actually remarkable simple and yet incredibly effective, especially if you want to make a home made "music video". Firstly you obviously need to have your video, so make sure you film the video you want to use. After this you need to open up the "Video Maker"
app (you made need to look in the app drawer to find it). 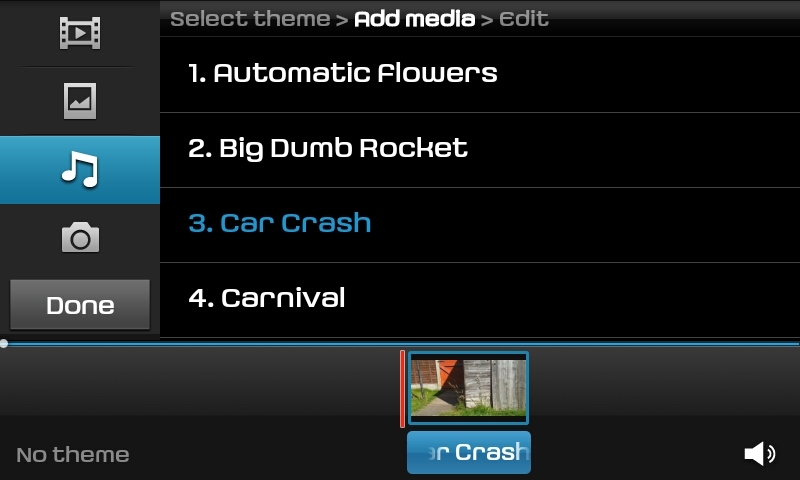 Then choose "New" on the first screen and select a theme (I advise using none) then find your video. Once you've found your video drag it to the bottom of the screen then click on the musical note. 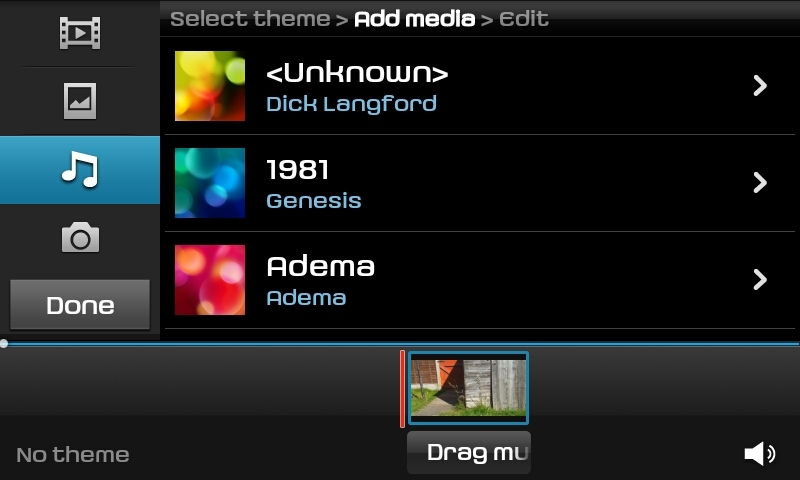 Now you can select a song from your phone, when you've found the one you want to use drag it to the box under your video and you'll have added music to your video. Now to find the video with your music add you will need to press "menu" and then export the video which can take a little while, but afterwards the video should be found in your gallery in a folder called "Video Maker"